The U-15 OPDL Cup finals took place Sunday at the North London Athletic Fields as part of the Ontario Summer Games. 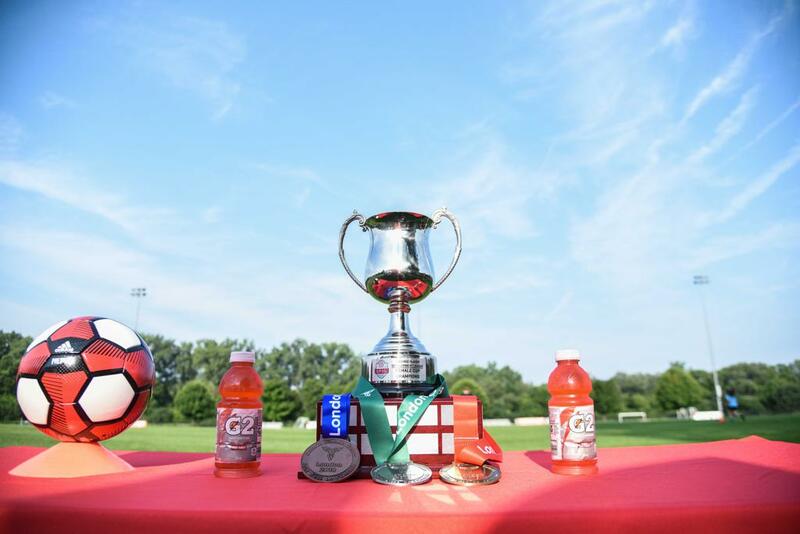 The OPDL Cup, in its second year, is a single-game knockout format, which is intended to introduce another level of intense competition into OPDL. It is designed to help shape and strengthen the players’ response to the kind of environments they will encounter as they progress along the Talented Pathway towards collegiate, professional and national team opportunities. Following the lead and direction by the Ontario Ministry of Tourism, Culture and Sport’s “Games Ontario” initiative, Ontario Soccer has re-calibrated entry eligibility into the Ontario Summer Games program to ensure that athletes attending the Ontario Games are the top athletes within a specified age group. This serves as the initial assessment platform for future athletes in the Canada Games and the Olympic Games. In the Boys U-15 OPDL Cup final, the Oakville Soccer Club defeated North Toronto Soccer Club 2-0. Click here to read the match report, find photos and watch video from the final. Burlington Bayhawks won the bronze medal. In the Girls U-15 OPDL Cup final, North Toronto Soccer Club defeated Ottawa South United 3-1. Click here to read the match report, find photos and watch video from the final. Aurora Youth Soccer Club won the bronze medal.